Believe it or not, online slots now dominate the iGaming industry, accounting for an impressive 64.5% of the sector’s GGY. This is nearly two-thirds of the market’s total turnover, with table games trailing well behind with a 15.8% share of the market. The rise of virtual slots is extremely interesting, with a diverse range of games now available to suit both casual and serious gamblers. However, the diverse nature of gameplay can make it hard for new players to determine their odds of winning money through online slots, while selecting the right game can be even more challenging. We’ll break this down in the article below, while helping you to formulate the ideal strategy for winning at online slots! Slot games have a rich and fascinating history, with their origins traceable back to the 19th century. In fact, it was back in 1891 that New York firm Sittman and Pitt designed the world’s first slot machine, complete with five drums and a total of 50 playing cards. While this rudimentary machine had no direct pay-out mechanism, it informed the world famous designs of Charles Augustus Fey. This San Francesco mechanic is widely lauded as the investor of the first ever slot machine that allowed for automatic payouts, with his initial offering hitting the market in or around 1895. This machine replaced the five drums with three reels, while playing cards were eschewed for five symbols that quickly became synonymous with slot gaming (namely hearts, diamonds, spades, horseshoes and the iconic liberty bell). Fey’s failure to patent his unique designs saw his machines replicated throughout the bars and saloons of America, even after slot gaming was outlawed by government officials in 1902. During this period, the era of the so-called ‘fruit machine’ emerged, with players competing for non-cash prizes such as chewing gum and fruit-flavoured sweets. 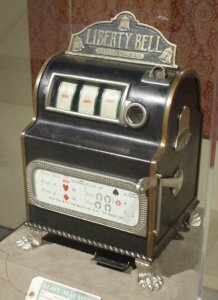 Liberty Bell was the first ever slotmachine. The machine saw it first days back in 1895! Despite slot gaming being legalised once again following the Great Depression, there was little innovation in machines until the mid 1960s. At this time, the world’s first electromechanical slot (called Money Honey) was released by Bally, with this device including a bottomless hopper that allowed for cash payouts of up to 500 coins. While this machine was operated entirely electrically, manufacturers retained the mechanical lever for the benefit of players. It was thought that removing this would be too radical at the time and potentially make the game less appealing to the global market. Less than a decade later, we saw the first ever video slot designed in Kearny Mesa, California by the Las Vegas-based firm Fortune Coin. This machine not only became a major hit in Vegas (following some significant cheat-proofing and technical modifications), but it also blazed a trail for similar slots to follow suit in the future. A period of gradual innovation ushered in the age of online slot gaming in 1996, with WMS Industries Inc. releasing the first such title. “Reel ‘Em” became the first ever virtual slot to feature a second screen bonus round in addition to the base game, and this has become a prominent staple in the digital age. By the turn of the century, these interactive and often themed games had taken the casino market by storm, accounting for between 60% and 70% of the virtual gambling GGY. Before we cover the basics of slot gaming, we thought we’d discuss the key strategies and techniques that can help you to win more frequently online. At this stage, it’s particularly important to understand the core benefit of playing online slots, particularly in comparison with bricks and mortar alternatives. We’ll discuss the the meaning return-to-player (RTP) rates associated with online slots below, but these typically range from 90% to 97% depending on the variance of your chosen game. 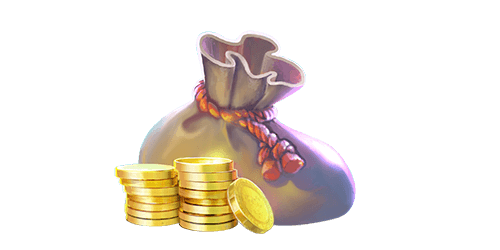 However, the majority of high variance slots will deliver a payout close to 94%, creating an extremely competitive proposition and considerable incentive to players. In contrast, land-based and corporeal slots tend to offer a fixed and relatively modest RTP rate of 90%, and there are various reasons for this. Most importantly, physical slot machines are subject to a number of additional cost bases, including maintenance, overheads and a share in the overall liability of running a bricks and mortar casino. These costs have to be considered if operators are to maintain a viable profit margin, which is why physical slot machines pay out at far a lower rate than online games. Similarly, land-based slots lack of the layers of gameplay and lucrative bonus rounds featured online, further restricting players’ ability to win regularly as a result. So, if you’re serious about developing a winning slots strategy, there’s no doubt that you’ll need to focus your attentions almost exclusively online. However, this is just one of various steps you can take to achieve this objective, and you should also keep the following points of mind as an aspiring slot players. By now, you’re probably aware that not all slots are created equal, and grappling with the more complex aspects of gameplay can be challenging. This is why a growing number of operators have integrated a ‘free play’ mode into their websites, so that users can enjoy a simulation of their favourite slot before playing for real money. There are several benefits of activating the free play mode, with the first being that you get to trail games to determine whether or not they’re right for you. You can also experiment with variable betting strategies, as you look to set a coin size and stake value that reflects both your bankroll and the game’s unique level of variance. The free play mode will also help you to understand how bonus rounds can be triggered during the base game. This is often the key to unlocking jackpots and big cash prizes, particularly when playing high variance slots. When you click through your chosen slot game, the free play mode can usually be activated by highlighting a button at the top of the screen. Leveraging this mode is definitely to be recommended, as you should choose every competitive advantage possible when trying to win at slots. Given the importance of slot gaming to the online gambling market, it should come as no surprise that this niche is extremely competitive. As a result of this, operators are increasingly inclined to incentivise slot players through targeted promotional offers, which offer either no deposit bonuses or free spins to new registrants. These bonuses are extremely appealing to players, as they essentially translate into free money that can be used across an array of games and slots. For example, operators may offer a £10 no deposit bonus, which is immediately applied to your account when you sign up and confirm your eligibility to participate in the promotion. You can then leverage this as you would a standard deposit, using it to execute spins and generate wins without having to spend your hard-earned cash. You should also look for promotions that offer you access to a fixed number of free spins, as these can be applied to a game of your choice once you’ve registered for an account. In some cases, operators may also offer a generous number of free spins in order to promote a specific slot title, but these are relatively rare and usually available for a limited period of time. Regardless, you should compare the market for the best real-time promotional offers before targeting your preferred operator or slot game. There are a number of independent comparison sites online that will help you to achieve this aim, with the goal being to identify a suitable slot that helps you to make the most of your available bankroll. This type of small but significant detail is crucial for anyone who wants to win at slots, as it helps you to manage your bankroll more efficiently and retain your playing capital for a longer period of time. There’s an old school of thought which suggests that slot players should always play maximum coins, in the belief that this affords them the best chance of winning. This is little more than a gamblers’ fallacy, however, as playing maximum coins simply increases the total value of your stake and forces you to commit more of your bankroll at an early stage. In fact, it’s far better for you to play a single coin of the highest denomination you can comfortably afford, as this strikes a superior balance between pursuing optimal base game wins and successfully managing your bankroll. This also allows you to play the maximum number of paylines per spin, which is the real key to unlocking frequent wins over a designated period. There are exceptions to this rule, of course, particularly for high-rollers who are playing slots that feature a progressive jackpot. In most instances, this jackpot will only be made available to players who are betting the maximum coin value, while it makes little sense to skimp on your stake when you’re pursuing seven or eight figure prizes. Similarly, you may want to consider deploying the ‘bet max’ feature after triggering a bonus round during the base game. 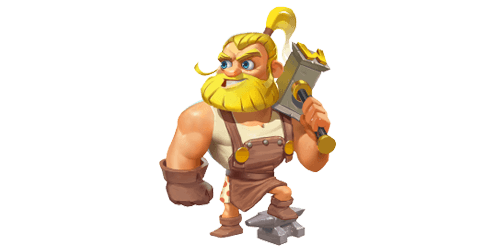 So features of this type will dramatically increase your chances of winning for a limited time, while others will introduce multipliers and the value of the wins on offer. Either way, maximising your coin size can prove fruitful during this time, and it may translate into significant returns! 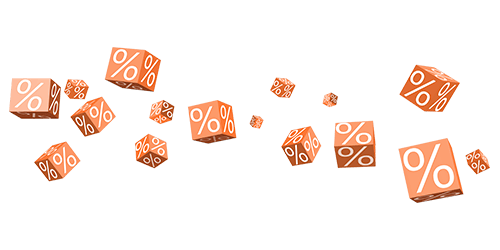 In the case of casual players, selecting a low variance slot with an RTP rate of around 97% will automatically minimise losses and enable them to play for longer. By simultaneously setting a relatively modest coin value, they’ll also make their bankroll stretch further and negate the risk of eradicating their cash reserves. However, if a casual or inexperienced gamer was to play a high variance slot with a lower RTP rate, they’d win far less frequently and lose considerable amounts of money relatively quickly. In the worst case scenario, this could encourage them to chase their losses, in the mistaken belief that they could be recouped during an extended session of gameplay. While it undoubtedly takes discipline to adhere to a predetermined betting system and ignore the temptation to chase losses, this is crucial if you’re become a successful slot player. When aligned with a strategic mind and the kind of informed decisions mentioned above, it makes for a winning combination that will translate into positive results. If you’re unable to resist this temptation for one reason or another, you’ll quickly find your bankroll diminished and your reserves depleted. This is regardless of the slot game that you choose to access, as having the ability to play for an extended period of time is central to your chances of success. On a similar note, you should also avoid gambling away your winnings on the assumption that you’re on some kind of winning streak. While pocketing a decent cash prize triggers a surge in adrenaline and encourages you to play on, this can cloud your decision making and ultimately cause you to lose your winnings. Knowing when to stop is an important consideration for any gambler, regardless of the types of game that they like to play. Over time, you’ll probably develop an instinct that tells you when to withdraw from a game, but it’s far harder for novice players to avoid the temptation to place ‘just one more bet’. So if you don’t want to fritter away your winnings or stop playing simply because you’ve run out of cash, we’d recommend having a system in place for managing your bankroll and leveraging winnings. Before you start playing, break down your bankroll into a fixed number of individual spins, based on the total stake that you intend to lay down every time you click the ‘play’ button. In order to avoid losing all of your cash, set a loss limit that automatically prompts you to stop playing, so that you retain a fixed percentage of your bankroll for the next game. When deploying your winnings, it’s also important that you separate this cash into two distinct sections. Firstly, a relatively small percentage of your winnings (no more than 30%) should be returned to your bankroll, as this provides a boost to your playing capital and can be retained for future games. The remaining cash should be committed to your savings, as this enables you to bank a profit from your slot gaming activities. This makes for a true win-win scenario, while enabling you to build towards success outside of the slot game marketplace. Despite the changes that have gripped the online slot gaming market (and we’ll have more on these and their impact later), the fundamental principles fof the game remain unchanged. You’ll need to understand all of these principles when playing online slots, particularly if you’re to apply your strategies in a real-time game. In terms of standard features, all online slots include a variable range of paylines, each of which reflects a winning combination from the available selection of symbols. 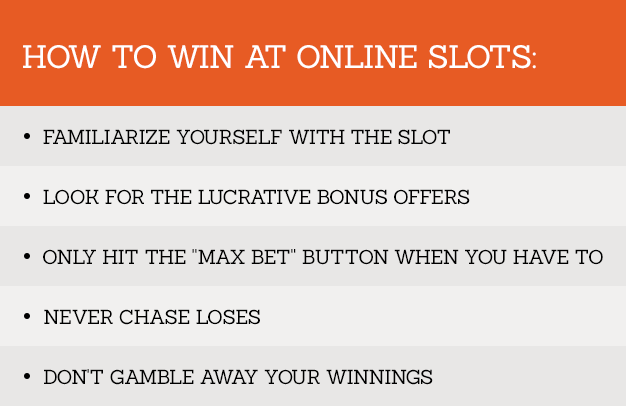 Online slots tend to boast an average of 50 individual paylines, which typically run horizontally from left to right. However, some modern titles have done away with this rigid structure to offer up to 243 paylines, including vertical combinations, those that run from right to left and matching symbols located on adjacent reels. Most online slots will also include five reels in the modern age, although there is a growing number of retro-inspired games that include three reels, decidedly simplistic gameplay and no more than 15 paylines. Each slot will publish its own unique pay table for players to review online, enabling gamers to understand the full range of available winning combinations and the respective cash prizes on offer. These tables will also highlight the precise role that wild and scatter symbols play in each game. These will have their own distinct value and can contribute to a variety of winning combinations, while helping to unlock second screen bonus features and driving additional payouts beyond the base game experience. Even with these points in mind, there’s one more major decision that you’ll need to make before hitting the ‘play’ button and commencing gameplay. This concerns how much you choose to wager on your spin, with the value of your wager being determined by three unique factors. These are the individual coin size, the number of coins that you bet and the number of active paylines. You can combine and adjust these elements according to your strategy, in order to create a total stake that impacts on your bankroll and potential return. Ultimately, it’s in your interests to open up the maximum number of paylines that the slot allows, as this optimises your chances of winning during the base game. This is why your choice of slot game is so important, as you look to utilise your bankroll wisely and operate within your means. You’ll also set the fixed coin size within a predetermined limit, before laying down a preferred number of coins per payline. These values are then combined to multiply the bet and calculate your total stake, determining the potential payout in the process! This reinforces the classic definition of slot wins as being stake multipliers rather that outright cash prizes. The only variation comes with the aforementioned 243 payline slots, which enable players to lay down a single stake amount rather than individual line bets (for obvious reasons). So while 243 payline slots provide more chances for players to win during the base game experience, the value of these victories will be smaller than the equivalent for 50 payline alternatives. At this point, you can begin to spin the reels and go in search of base game and bonus round wins. However, online slot gameplay has seen considerable diversification in recent times, with different titles and risk propositions available to suit every conceivable type of player. What About the Variance Levels of Online Slot Games? At the heart of this are different levels of variance, which indicate your chances of winning a particular game and the types of returns available. Low variance slots tend to trigger regular but relatively modest base game wins, for example, whereas high variance games see less frequent wins with a far higher value (usually in the form of large or progressive jackpots). Mid-variance games tread the line between these two extremes, balancing competitive gameplay with occasional jackpot wins. The question that remains is how can you identify these variable types of slot game? The key lies in the aforementioned RTP (return-to-player) rate, which indicates how much money you can expect to recoup per £1.00 wagered. If a slot were to offer an RTP rate of 97%, for example, you’d be likely to win an average of £0.97 per £1.00 stake over an extended period of gameplay. Low variance games typically boast an RTP rate of between 95% and 97%, highlighting the fact that you’ll trigger regular base game wins through this type of slot. In some cases, you may even stumble across so-called ‘certified’ slots with an RTP rate of 98% or above, and these are ideal for casual players despite offering relatively low value wins. 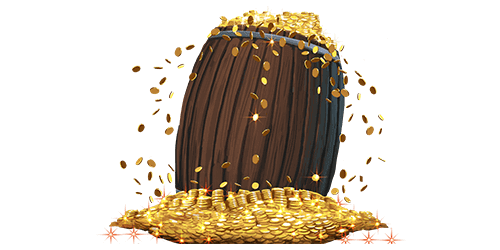 High variance slots will have an RTP rate that hovers between 90% and 94%, meaning that players will see less of their bankroll returned on average. However, if you’re able to land a large bonus game win or progressive jackpot through this type of slot, you could walk away with cash prizes of seven figures and above. This makes for a fascinating risk-reward proposition, and one that is tailor made for high-rolling gamblers with a relatively large bankroll. In the case of mid-variance slots, these games will offer an RTP rate of between 94% and 95% on average. This type of slot lacks the clarity or appeal of low or high variance games, although they do offer value to players who have gained experience of the market and wish to pursue potentially larger prizes. The UK Gambling Commission (UKGC) has recently compelled online operators to list the RTP rate associated with each slot title, so you’ll have ample opportunity to select games that suit your playing philosophy, bankroll and level of experience. This published RTP rate also enables you to understand the house edge for each slot, which is also important when looking to optimise your chances of winning. The house edge refers to the mathematical advantage available to operators during each casino game and in the case of online slots it relates directly to the RTP rate you’re expecting. More specifically, you can calculate the house edge by subtracting a game’s advertised RTP rate from a total of 100%, and this should definitely be factored into your decision making. In the case of a low variance slot game with an RTP rate of 97%, for example, the house edge is just 3% and this compares favourably with table games such as American roulette. Conversely, high variance slots with an RTP rate of 90% will carry an inflated house edge of 10%, and this ensures that the odds are stacked firmly in favour of the house. This means that you’re likely to incur significant losses in the pursuit of returns, increasing your spend and placing a greater demand on your bankroll in the process. The concept of bonus rounds is also an interesting one, particular given the nature of contemporary slots. More specifically, modern developers are inclined to design slots with a relatively simplistic base game, which is then augmented by a diverse range of lucrative bonus features. These features can take numerous forms, from a free spins bonus to a spin the wheel round, while they also take place on an entirely separate screen to the base game. Typically triggered by lining up three or more designated scatter symbols, they should be considered as a ‘game within a game’ and may require players to adopt a slightly different mindset and strategy. 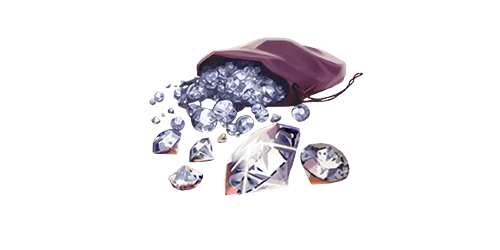 They may also change the nature of certain icons, with wild symbols often used to boost the value of winning combinations (either by substituting for other symbols or serving as cash prize multipliers). Either way, bonus games are likely to increase either the frequency or value of your wins for a limited period of time, which is why you may want to consider maximising your stake in order to capitalise on this (we’ll have a little more on this later). Just bear in mind that low variance games are likely to include less bonus rounds than high variance alternatives, in line with the prevailing RTP rate and the cash prizes on offer. At the very least, low variance slots will make it harder for players to trigger bonus rounds from the base game, so this is another important consideration when heading online! For anyone who has previously played blackjack or roulette, you’re probably asking if there’s any suitable betting systems or strategies that can optimise your chances of winning slot games? The short answer is no, as online slots are ultimately games of chance that produce entirely random results through the deployment of an RGN (random number generator). This is based on a complex algorithm, and one that produces non-sequential outcomes that are impossible to predict or scour for insightful patterns. Any patterns that can be discerned will have been produced randomly, so there’s no guarantee that this will be replicated in the future. So rather than utilising skill or strategy to affect the outcome of an individual spin, you must take small but practical steps to understand the opportunistic nature of slot gaming, select the right type of game and optimise your bankroll. Including the tips listed above, these steps will enable you to build knowledge and make informed decisions, each of which increases your chances of winning (and in some instances the value of your wins) incrementally. Most importantly, this type of approach lets you create a logical strategy that respects the random and unpredictable nature of slot games, while also leveraging games with a favourable house edge. You may hear some players talk about deploying a so-called ‘standard deviation’ strategy, which requires players to calculate the average number of spins between landing specified winning combinations. The theory stipulates that players should make this calculation over a period of around 10 cycles, in order to determine the standard deviation and modify their betting strategy accordingly. As the final stage of applying this strategy, players would look to increase their stake value and select the ‘bet max’ option in line with the standard deviation. Theoretically, this will ensure that the value of individual wins is maximised, helping players to enjoy a successful and ultimately profitable experience. The issue here is that this strategy represents something of a gambler’s fallacy, as it asks players to identify supposed payout patterns that simply cannot be relied upon. It’s also a strategy that was developed with physical slot machines in mind, making it exceptionally difficult to translate successfully online. Online slots use far more sophisticated RNG software, for example, generating completely random payouts that are impossible to pre-empt. Similarly, the vast number of paylines available through online slots makes it extremely hard to apply a standard deviation equation to a specific winning combination, even for those with an aptitude for math or numeracy. So instead of following this type of strategy, we’d recommend that you adhere to this guide and take small but achievable steps to increase your chances of winning as a slot game enthusiasts.